Where did I come from? This question puzzled me in late 70s. However in early 80s I found the right answer to this life-strengthening query. A group of Latter-day Saints here in our place, La Carlota City has come up an activity which to increase "an astronomical numbers of investigators, recent converts, and returning members by providing a low key social environment that will promote fellow-shipping and retention" of those aforementioned. In this late afternoon meeting with the LDS Church leaders coming from San Enrique, La Carlota First and La Carlota Second, Masville, and Manggapsang units, Elder Larsen and Elder Newman, full-time missionaries presented a 3-part activities for La Carlota District to be undertaken on September 3, 2011 at La Carlota meetinghouse. 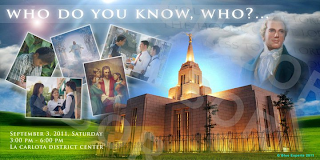 The first part will include the teaching of the prophets, baptism and sacrament, and the life of Jesus Christ. President Rollie Tumunong of La Carlota 2nd branch will facilitate this preliminary gospel teachings. The second part will be the discussion on temples, family history and the importance of family. And Sister Ernalynn Cascarro and Brother Serge Baldonado will tackle this session. And the last part is about missionary work. Returned missionaries Zandiv Abonado, Gilbor Camporazo, Jr., and Jennifer Muyco will handle this activity. Elder Newman elucidated the mechanics and pinpointed out the needed materials for this one-day Church related activities which will start 3 O'clock in the afternoon and end at 5:30 p.m.
"This could be best opportunity for the recent members and even returning members to fully acquainted of their leaders and auxiliary presidencies," he said. The most important portion of this activity which had given me the right answer to my life's question, "Where did I come from?" is the Lord's Plan of Salvation. The scriptural bases and the reasons why I was here and where I am going to after my earthly life had put me to the proper perspective of my being as spirit son of my Heavenly Father and my gratefulness to the atoning sacrifice made by His Only Begotten Son Jesus Christ. It took me 4 years to know all these things. I never regret why I was converted to The Church of Jesus Christ of Latter-day Saints, together with my wife and children in 1980. Out of 31 years of membership of this Church, my life has been blessed of the spiritual truth. I had valued so much my family. 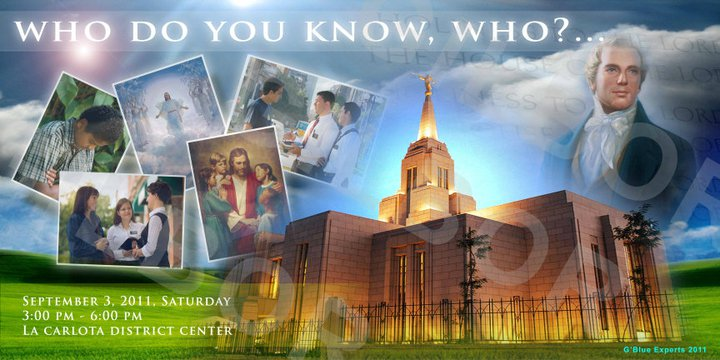 My wife, my children and I were sealed for time and eternity in the temple of the Lord in Manila Philippines Temple sometime in 1986. 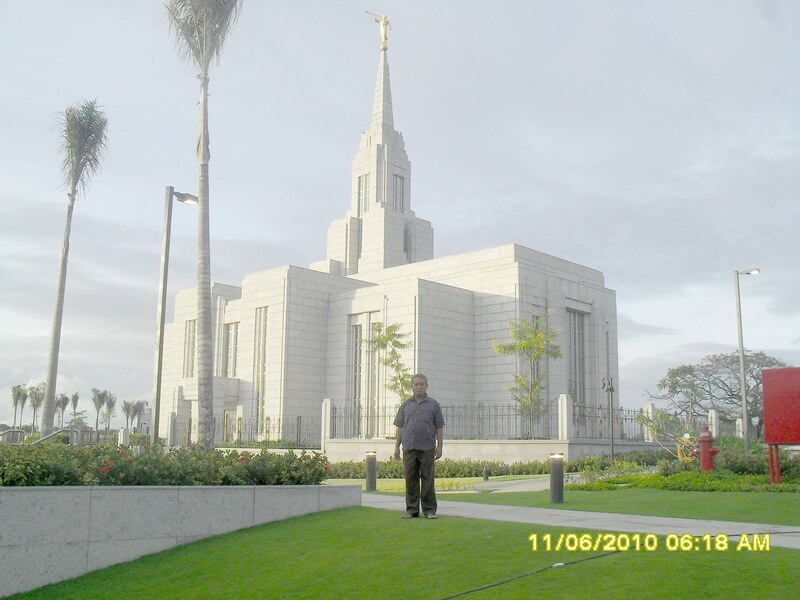 We had another chance to visit and do some temple work at the recent dedicated and operating Cebu Temple in Lahug, Cebu in 2010. "Families are forever" is a principle of family history and genealogy. And this could be realized when my family and I have attained exaltation, back to where we belong at the spirit world and even to the highest glory of God, the Celestial. So be it. "Families are forever." So very true. family is really important. it is our foundation. Indeed an inspiring post to ponder for stronger family ties.